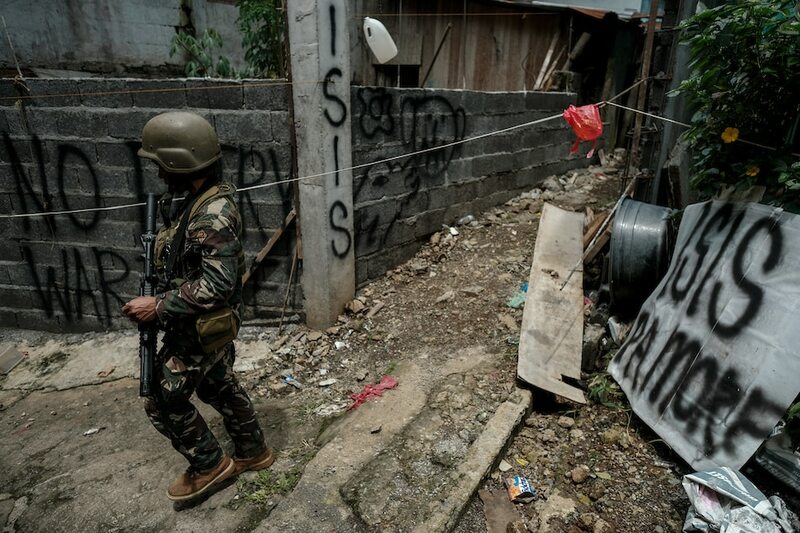 MANILA - A counterterrorism official from the United States State Department on Thursday (Manila time) said the Maute Group and ISIS-Philippines were listed among its list of foreign terrorist organizations as part of US' strategy in combating a “decentralized” ISIS threat. The State Department applied legal standards such as asking if the groups "engage in terrorism that threatens the national security of the United States,” State Department Counterterrorism Coordinator Nathan Sales said. “Attacks in Manila, attacks elsewhere in the Philippines by a terrorist organization certainly meet that standard. The Philippines is one of our closest partners in the region. We have a long-standing history of working together in the security space, in the economic space. And so, it’s a vital interest of the United States to ensure that a partner like the Philippines is protected from terrorist organizations like the Maute Group, the local ISIS network,” he said in a telephone conference with international media. In its website, the US State Department enumerated 3 criteria before an organization may be included in the US list of foreign terrorist organizations. The group must be a foreign organization, it must be engaged in a terrorist activity or retain the capability and intent to engage in a terrorist activity or in terrorism, and its terrorist activity must threaten the security of US nationals or the national security of the United States. US national security includes national defense, foreign relations, or economic interests of the US. In its press statement on Tuesday, the State Department cited a June 2016 video of militants in the Philippines pledging allegiance to ISIS. It also attributed to the Maute Group the May 2017 siege of Marawi, the September 2016 Davao City market bombing, and the November 2016 attempted bomb attack near the US Embassy in Manila. The designation of the Maute Group and ISIS-Philippines as foreign terrorist groups means the two groups and their leaders and operatives will not have access to the US financial system. “These designations will deny the ISIS network the resources it needs to carry out terrorist attacks around the globe…[W]e don’t just want to stop the bomber, we also want to stop the money man who buys the bomb,” Sales said. Beyond cutting off financial support, the designation is part of a bigger strategy the US is adopting in combating a “decentralized” ISIS threat. Ambassador Sales noted that as a result of the destruction of the ISIS caliphate in Syria and Iraq, ISIS has evolved into a decentralized network of smaller groups in different parts of the world. Aside from ISIS-Philippines and the Maute Group, the US foreign terrorists list released this week also includes ISIS-West Africa, ISIS-Somalia, ISIS-Egypt, ISIS-Bangladesh, and Jund Al-Khilafah-Tunisia. This is in addition to 8 other ISIS-affiliated groups previously listed. “We’ve designated these groups and individuals to illuminate ISIS’ global network and to emphasize the need to continue our campaign against ISIS,” he said. As the fight against ISIS evolves, Sales emphasized the need to resort to law enforcement and civilian tools, such as the use of passenger name records (PNR) and biometrics. PNR refers to information given to an airline upon booking a ticket – from contact information, seat assignment to frequency flyer numbers. “[T]his is an incredibly powerful counterterrorism tool. PNR can help analysts identify suspicious travel patterns, flagging threats that otherwise might have escaped notice. It can also illuminate hidden connections between known terrorists and their unknown associates,” he explained, citing as an example a terrorist about to flee the US who was arrested when authorities tracked his flight booking. “Biometrics are a critical tool for verifying that travelers really are who they say they are. Terrorists will try to mask their true identities in any number of ways – fake passports, aliases, and so on. It’s a lot harder for them to fake their fingerprints. For that reason, the United States collects biometrics from visitors to this country. We take their fingerprints and facial scans, we validate identities and travel documents. We also check this data against our watch list of known and suspected terrorists,” he added. By using biometrics, Sales said, US authorities arrested a man in Oklahoma a few weeks ago whose fingerprints matched those taken from an application to join an Al-Qaeda training camp retrieved in Afghanistan. Sales encouraged countries like the Philippines to use PNR and biometrics to combat the threat of ISIS and terrorism, noting that this is now a global standard with the adoption of the United Nations Security Council Resolution 2396 in December 2017. Sections 12 and 14 of the resolution obligates UN Member-States to develop a system of collecting PNR and biometric data. 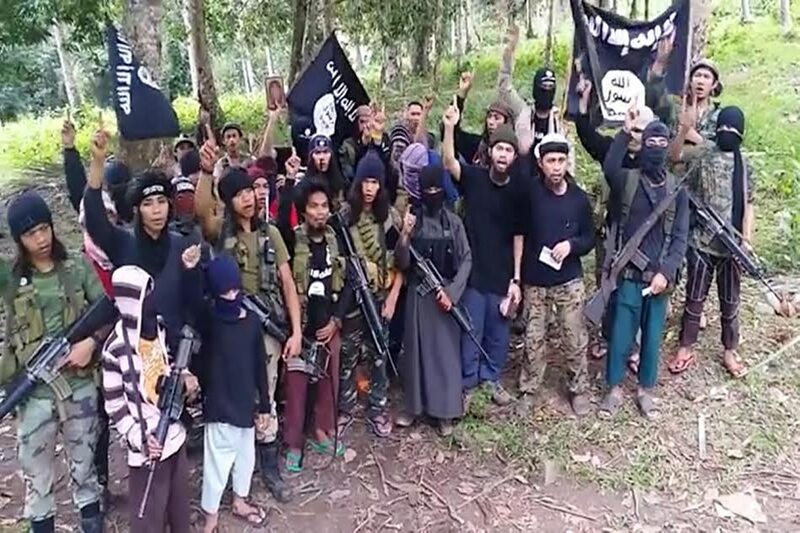 “I think those civilian tools are going to be increasingly important as ISIS elements in the Philippines and throughout Southeast Asia look to regroup after the losses they suffered. It’s important for us to be able to spot these people as they attempt to cross international borders,” he said. Sales said despite the successful liberation of Marawi from terrorists, the terrorist threat to the Philippines in particular and Southeast Asia in general is not yet over. “ISIS fighters, ISIS ideologues, ISIS recruiters are still active. Some are active in the Philippines, some are active in other countries in the region,” he said. “And so, the United States and the State Department in particular are looking very closely at what we can do. We need to stand up to capabilities of our partners in the region, to improve border security, we need better information sharing between countries in region, and between the region and the United States,” he added, noting a “very promising relationship” with the Philippine government. Sales also underscored the need to address the conditions that can contribute to the rise of a terrorist organization. “Countries that have well-developed industrial economies and coincide with well-developed institutions of democracy have a sort of built-in resilience to terrorism. Developed democratic liberal countries provide their citizens with legitimate means of expression and redress. It’s never appropriate to resort to violence to attempt to achieve a political objective…It’s not to say that they’re immune. But it is to say that they’re less susceptible,” he added. Among the measures he shared is the use of counter-speech against terrorist organizations trying to recruit members by empowering community leaders, imams and respected voices who can intervene at attempts to recruit by delivering targeted messages. “ISIS is an adaptive threat and we need to adapt along with it to keep our people safe,” he said.